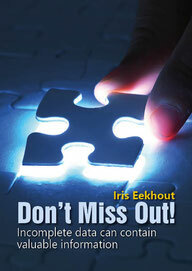 Iris Eekhout and Martijn Heymans, are writing a practical manual on how to deal with missing data. The manual is in a preliminary stage, so some parts are currently still worked on. There is a manual available that explains how to include auxiliary item information in a latent growth model. This option is recommended when patient-reported outcomes, measured by a multi-item questionnaire, are incomplete due to missing item scores. Including het item information in the auxiliary part of a latent growth model improves precision. Three R programs are available to make missing data according to each of the missing data mechanisms. In this program the strength of the missing data mechanism can be adapted as well as the probability of missing data. Other characteristics that can be adapted are described in the manual that comes with the R programs. There is an example R code available to apply passive imputation to deal with missing data in questionnaires.